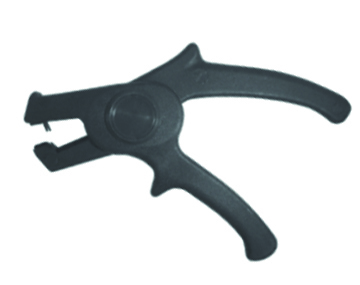 Lightweight stripper and cutter for quick, easy wire processing. The unique stripping blades automatically adjust to the wire gauge and strips with a quick squeeze of the handles. Cutting blade is exposed by pushing the thumb notch forward, inserting the wire and squeezing the handle to cut.